We are proud to present this Vision for a Strong California which was produced by several amazing organizers and leaders including Rev. Deborah Lee, Moises Escalante and Rev. Dr. Art Cribbs who participated in the Fellowship for A New California leadership convening. 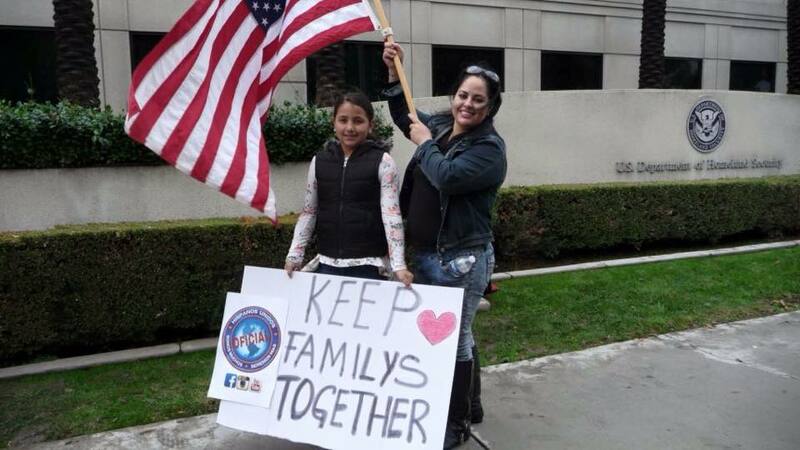 Immigrant and refugee families and communities of California envision and deserve a state and country in which our dreams of equal opportunity, safety, and success are promoted and protected. And we envision a state and country in which our histories, languages, and cultures are valued and recognized as enriching the lives of all. We believe such a California and country are possible and depend on the collective power and will of our multi-racial, multi-ethnic communities. This statement of our vision presents the unified voices of families and communities across California, and shines a light on the issues that will safeguard our dignity and human rights. We seek a world in which all people live with full dignity and self-determination. Compassionate and fair justice and immigration systems would: ● Immediately end violence against immigrants and their communities, which includes stopping raids; ending detention and deportation of immigrants, refugees and asylees; terminating policies and programs that allow for entanglement between federal immigrant enforcement and local law enforcement; and halting militarization at the border and in urban and rural areas. ● Promote the welcoming, due process, and support of migrants and refugees fleeing violence and persecution in our home countries, regardless of where we come from. ● Increase civic participation and immigrant integration through a fair road to citizenship without costly fees and fines, with special emphasis on reuniting families as simply and quickly as possible; the expansion of naturalization services; ESL classes; language-accessible materials and services; and investment in community engagement. ● Stop incarceration of our communities and spend resources on education and restorative justice. We call for all people to be treated with respect and dignity regardless of race, religion, immigration status, gender identity, sexual orientation, national origin, age, or disabilities through ● Promoting equal opportunity for all marginalized communities. ● Ensuring that the electorate better reflects those who reside in California by increasing voter participation; expanding voting rights to 16 and 17 year olds in municipal elections; limiting corporate and billionaire funded electioneering; and upholding voter protections. ● Guaranteeing due process and the right to a fair trial for all people, including the right to appeal; the right to language assistance; and an immediate stop to indefinite detentions and deportations. ● Ensuring that government authorities do not subject anyone to cruel or abusive treatment or torture, in our communities and at our borders.